Another International Peace Conference | Africa: What's the Problem? 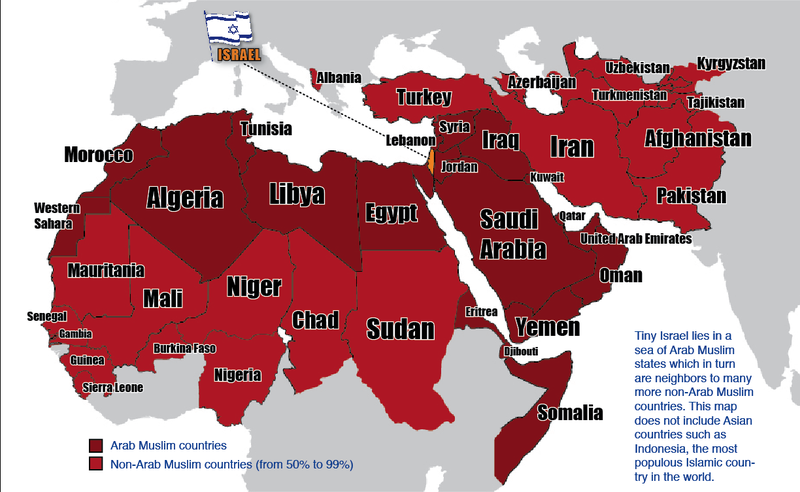 Tiny Israel lies in a sea of Arab Muslim states which in turn are neighbors to many more non-Arab Muslim countries. This map does not include Asian countries such as Indonesia, the most populous Islamic country in the world. Are you ready for it? Another Middle East peace conference is about to be held at Annapolis Naval Academy in the middle to late November - or there about. Nobody knows who is going to attend. The Palestinians claim that at least 36 countries will be attending. On the other hand, they are not sure they will be there - unless Israel agrees before hand to a long list of concessions that are existential issues with the State of Israel. It is good to remind oneself of the core issues - issues that will be at the center of the conference - if, indeed, it takes place. No doubt, God will be looking for His people to bathe that conference in prayer. What does Israel want to get out of this conference? That the Palestinians stop the terrorism and recognize Israel’s right to exist as a Jewish state. 1. Full control over East Jerusalem, the Old City including the Temple Mount and the Western Wall to be under Palestinian Muslim rule. 2. Right of return of all Palestinian refugees to live within the State of Israel. 3. Israel’s return to her pre-1967 borders (before the Six Day War), and a hand-over of all the land of Judea and Samaria (the West Bank) and Gaza to the Palestinians as their homeland. Now let’s analyze the Palestinian demands one at a time. Since the days of Arafat, Palestinian politicians have maintained that the Old City of Jerusalem is 100% Arab, always has been and always will be. However, since 1967, the Old City and East Jerusalem have been under the sovereignty of Israel, although Israel has given over the day-to-day administration of the Temple Mount to the Islamic Trust Wakf to maintain peace. However, the Israeli public will never permit handing over the Western Wall to the Muslims. 5. Giving the sovereignty of the historical sites to an “international body,” which would have the authority to delegate powers to both sides as it wished. The think tank concluded that number five is the preferable and the most realistic option. (Ibid., 8Oct07) In my thinking the only way that any of these solutions could be enforced would be by military power. Who cannot help but think of Zechariah’s prophetic warning 2500 years ago: And it shall happen in that day that I will make Jerusalem a very heavy stone for all peoples; all who would heave it away will surely be cut in pieces, though all the nations of the earth are gathered against it. Zech. 12:3. The right of return of these Muslims into Israel is a euphemism for flooding the nation with Muslim citizens. Through democratic means of voting in Muslim leaders - just as Hamas was democratically voted into leadership in Gaza - they would be able to eradicate Israel as a Jewish state. It is a nightmare beyond comprehension, as terrorists would overcome the state in a flash. Abu Sitta called on all Arabs to reject this “new formula” since it would mean abandoning the Arab right to all of Palestine and accepting Jewish historical and biblical claims to the land. In short, the Palestinians’ concept of making peace is completely different than that of Israelis, Europeans and Americans, as they understand the word. What Sittu is saying is under the two-state arrangement Palestinians would have their state, and Israel would have its state under the condition that all the Palestinian refugees could come and live there. Any way you read it, it is a formula to destroy the Jewish state. On January 18, 1948, the president of the World Jewish Congress Dr. Stephen Wise appealed to U.S. Secretary of State George Marshall: “Between 800,000 and a million Jews in the Middle East and North Africa, exclusive of Palestine, are in ‘the greatest danger of destruction’ at the hands of Moslems being incited to holy war over the Partition of Palestine ... Acts of violence already perpetrated, together with those contemplated, being clearly aimed at the total destruction of the Jews, constitute genocide, which under the resolutions of the General Assembly is a crime against humanity.” (http://www.spme.net/cgi-bin/facultyforum.cgi?ID=1139). Israel. Not a word of outcry from any international body about the injustice done to these refugees. All that to say this: Israel will never agree to the return of 4.5 million Muslims into the land of Israel. So demand number two will not be accepted in any way, shape or form. When the U.N. General Assembly approved the Partition Plan for creating two states in Mandatory Palestine on November 29, 1947, exactly 60 years ago, the Jews greeted the resolution with singing and dancing. The Arabs flatly rejected it and went to war against Israel to abort her before she was born. But Israel made a pre-emptive strike and within six days found herself in control of all the West Bank, the Golan Heights and Gaza. Furthermore, everyone knows what happened when Israel twice unilaterally withdrew from land (biblically belonging to Israel) - southern Lebanon and Gaza - over the last few years. Today both areas are terrorist territories ruled by Hamas and Hizbullah. From Gaza, Qassam rockets are launched daily into Israel’s southern towns. This last week, larger rockets were launched that hit deeper into Israel’s heartland. So what can Israel do to start building up trust with her Palestinian neighbors? The Palestinians say, “Release our sons from prison.” Israel responds, “But they are in prison for killing or planning the deaths of innocent Israeli citizens.” Yet, hoping against hope, but against the advice of the Israeli army, several hundred prisoners have been let loose in the last few days. Everyone knows they intend to continue their interrupted work. But have you noticed something? Have you noticed that the Palestinians make no offers to stop terrorism or make any kind of concessions? It seems that few do. The man that the Americans look to for “the solution” is President Mahmoud Abbas, head of the Fatah militants. Abbas is an extremely weak leader because his government is incorrigibly corrupt and inept - so much so that Hamas was able to win the elections in Gaza on the promise that they would clean up the corruption. So much for that. The American Secretary of State Condoleezza Rice believes that because Abbas is so weak, the best thing is for Israel to make as many concessions as possible so that he can be propped up. Ironically, this is exactly the same approach that Arafat used. “In fact,” says commentator Amir Oren, “Abbas is a continuation of Arafat in his exploitation of the power of weakness. The more Abbas is weakened, the more Condoleezza Rice is willing to give him, at Israel’s expense, so he won’t get lost entirely. (Indeed, there is fear in Israel that Hamas will take over the West Bank, just as it did Gaza). Then too, Prime Minister Olmert is himself in a very weak position and must pacify his right-wing parties in his coalition to stay in power. To protect his own rear guard, he has duly promised them that he will not withdraw from any West Bank land (Judea and Samaria) unless Palestinian terrorism is stopped. (Ibid.) But terror hasn’t stopped in forty years, and none of the terrorists are promising they’re going to stop now. But let’s imagine that terrorism did stop. Can you imagine Olmert moving 250,000 Israelis out of the West Bank? Even if somehow he were to make an agreement with the Palestinians to keep the larger towns in the West Bank and exchange them for land in Galilee where there are Arab towns, he would still have to move many thousands of Israelis out of their homes spread across mountains of Judea and Samaria in small villages. Here is the reality. The nation was traumatized when 16,000 Israelis were forced out of Gaza, and most of those who were evacuated a year and a half ago are still in temporary housing, without jobs, and don’t know if they will ever have the chance to regain their livelihood. I can’t imagine how any prime minister in Israel could pull that off in the West Bank and stay in office. Israel, they say, is a bone in their throat. So why is Israel still so keen to create a Palestinian state? Israel’s leaders feel that the longer the world sees the Jewish state as occupiers, the more the western world will turn against her. Today there is no other democratic country that rules another people except Israel. Do you want to know how the majority of Israeli people really feel? They wish - “if only the Arabs would stop the terrorism and recognize Israel’s right to exist as a Jewish state… we would give them a state on a silver platter.” And if Israelis really thought there would be genuine peace, then the whole nation would rise up and make incredible sacrifices…. But the Israeli people have little hope that Arab Muslims will make peace with Israel no matter what she does. Israel understands that is simply “against their religion.” The Jewish people know that Muslims believe they will one day conquer the world - and that can’t be done without first disposing of Israel. Senior Defense Ministry officials said it is likely that Israel would not be able to deliver what the Palestinians are demanding and, as a result, the summit could fail even before it begins. According to journalist Yaakov Katz, the Europeans have also begun to acknowledge this possibility and are pressuring the U.S. to hold the summit “no matter what” so as not to appear to fail in the face of the world and particularly Hamas in the Gaza Strip. (Ibid., 5Oct07) No doubt, the U.S. and Europe will use every persuasive tool available to them to get Israel and the Palestinians to the negotiating table where arms will be twisted. There is now much talk by Palestinians and Israelis about a third intifada if the conference fails. Hopefully, we are not in for another round of war and terror. But for sure we are not going to have a peace agreement. Prayer is a powerful weapon against the intentions of the evil one. Keep alert to the unfolding of this conference. Burkina Faso. Here we go again! Praying and working toward seeing the “impossible” - believing that God has planted deep in our hearts the vision to help pull the third poorest country in the whole world out of its poverty! Across the middle of Africa are many of the world’s poorest nations. Twenty-five nations below the Sahara desert have the curse of stagnated economies - with their people getting poorer and hungrier every year. This reality must be integrated with the fact that over the last two decades so many billions in aid have been given to Africa that no one seems to know just how much - the low estimates are $200 billion! Western countries have promised $25 billion, each year over the next ten years. Yet, of the approximate billion people on earth that suffer from malnutrition, half live in the sub-Sahara nations. And, according to the 2005 U.N. Human Development Report, 15 of the 31 countries at the bottom of economic development, and which the U.N. labels “Low Human Development,” are French-speaking African countries. While the great thinkers try to figure out what to do, we believe God has given us a practical plan to help the country of Burkina Faso out of their poverty! Perhaps this sounds like “chutzpah,” but there is a key that Sachs and the world thinkers have never thought of. Let me explain. Shlomo outlined the challenges and the opportunities in this land of 13,500,000 souls living in an area the size of Colorado. According to the same U.N. report the average Burkinabe makes $345.00 per year, slightly less than $1.00 a day, though his estimated buying power is about $3.20 per day. About 86% of the population are farmers. This kind of wage equals poverty, poverty, poverty. 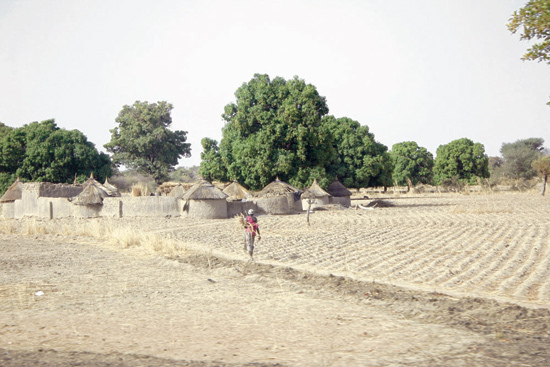 The land in Burkina Faso lies fallow during the dry season seven or eight months of the year. In practical terms this means during the rainy season (if there is not drought) they grow food for about four months. They store what they grow in make-shift mud huts, and hope that the food will last until the next rainy season. Only three out of four children make it past their fifth birthday. SO WHAT IS THE ROT PROBLEM? Are the Burkinabe people lazy? Actually Burkinabe have the reputation in Africa of being hard workers. Other countries like to hire them because of their industrious nature. Is there not enough water? Believe it or not, different nations around the world have funded a number of dams throughout the country, thereby making available considerable amounts of water for farming. Is there a lack of arable land? There is much undeveloped land which could be used for agriculture, but now lies dormant. Then, if there is land, water and people who are industrious and willing to work, what is the problem? One word. Knowledge. There is an extreme lack of agriculture know-how on the most basic level. We asked Shlomo to give us examples of ineffective farming and here are his comments. Today, except for very few exceptions, Burkina Faso has two methods of irrigation. The first is with a bucket. The second is “flooding” where the water runs by gravity from one of the dams and actually floods the land. Those living near a lake can thus “irrigate” their crops. But this method is devastating to the land and over time will literally destroy its capacity to produce. The type of soil in Burkina is predominately clay and has a very slow rate of water absorption. So when the soil is flooded and fertilizers have been applied, most of the water evaporates leaving the majority of the fertilizer on the top soil in the form of salts. (Almost all year around there is extreme heat 95° - 100°, which can even reach 115°). This leaves the soils increasingly unusable and crop productivity decreases by the year. Local Burkinabe pastors in Northern Burkina asked Ari, together with Ram Zango, to pray that a Christian agriculture community would be established there. A new dam has been built by foreign government funds, but the adjacent land has not been cultivated because of lack of irrigation know-how. The government has offered free land for an Agriculture Training Center. As the land becomes less fertile, the farmers, not knowing why, try, if possible, to add extra land to keep their productivity up, but continue to use the same methods. Of course they are simply creating more saline soils. But what can they do? Up until now they have known no other alternative to water their fields. - how to prepare the soil according to the requirements of a specific plant. They have no expertise in modern irrigation methods - even the most basic techniques are unknown to them. Has the Burkinabe government not tried to help its farmers? The answer is, as much as they could. But a number of Israeli agriculture experts have told us that all over the developing countries, when governments try to develop a project, it fails as soon as the experts leave. Employees paid by the government to farm, whether they are local overseers or workers, lack the resourcefulness to produce maximally; they are paid the same amount regardless of the productivity. And government agencies everywhere inherently have deep pockets that gobble up the funds no matter how good their intentions are. But here is the key to bring agriculture success to Burkina Faso, so obvious, but so hidden from the world! According to pastors in Burkina Faso, the number of Evangelicals there has reached about 10% of the population - around 1,300,000 believers. 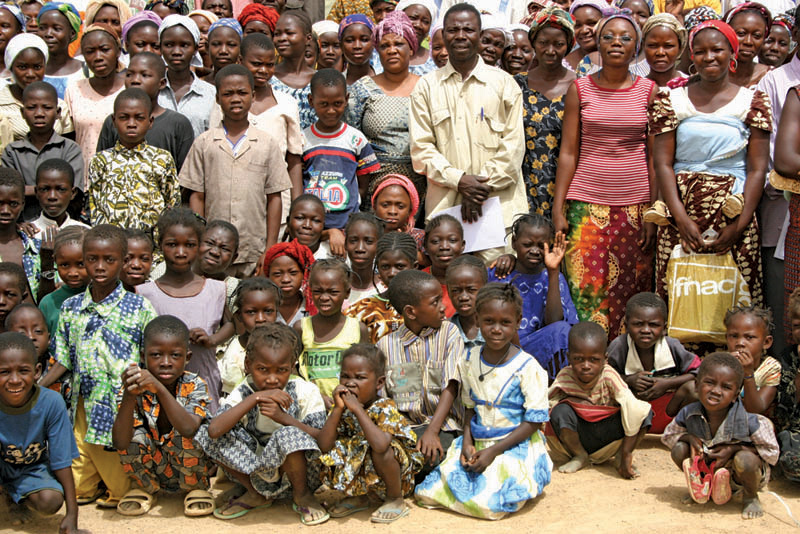 Charisma magazine in the January 2005 issue noted that Burkina has one of the fastest growing churches on the globe. The work ethic and character of born-again Christians as a whole is on a completely different level than that of those without a relationship with the God of the Bible. It is for these evangelical farmers that Ram Zango and Shlomo Sasson are creating a model Agriculture Training Farm near the capital of Ouagadougou. - use irrigation techniques, and much more. Their time of study and work in the Agriculture Training Center will give them two and a half cycles of planting and harvesting experience. The farmer will then be able to cultivate his own property with his new skills. A trainer working under the supervision of Shlomo will be overseeing the farmer for five years. After that, he will be on his own and will be producing up to four or five times (depending on the crop) what he was able to do without the know-how. And the crops will be of a quality not yet seen in Burkina Faso! To enable the farmer to use his new technology, he will receive an interest-free loan to buy basic irrigation equipment and farming tools; he will pay back 20% of the loan a year, over a five year period. The Agriculture Training Center will market the crops and deduct the loan repayment from his profits. Shlomo estimates that for each acre a farmer could make a profit of around $4,000 a year! Instead of $345! That is a revolution! Already there are secular funding organizations that have shown interest in the program, but we must get the first crops planted and harvested so they can see the viability of investing in this program. - Unlike so much of Africa, there are no wars in Burkina! - Even though half of the Burkinabe people are Muslim, they are not of the aggressive type, and there is no persecution against the Christians. - The 30% who are pagan are being reached through the message of salvation and many miracles. - Many Burkinabe Catholics have been touched by the Charismatic movement and have heard Reinhardt Bonke preach and thus understand Biblical salvation. - The government authorities are benign and the President is Catholic. They are thoroughly behind Ram Zango and the West Africa Initiative. The government has given the land for the program, and has promised as much land throughout the country the program can use for the future. It has given WAI rights to bring in all the farming equipment needed tax free. God has prepared this little country, among the poorest in the world, to be a light. By training the Christians farming techniques perfected in Israel, we see the possibility of economic revolution in the country - with the Christians leading the way! But there is more! There are no less than 18 Frenchspeaking countries in Africa. A strengthened and prosperous French-speaking Christian church in Burkina Faso, a living example of what the power of the God of Israel can do, has a vast mission field of Muslims and pagans it can reach. A mission field that is one of the least reachable by the English-speaking West because of the language barrier! Who but God could think of such a plan! 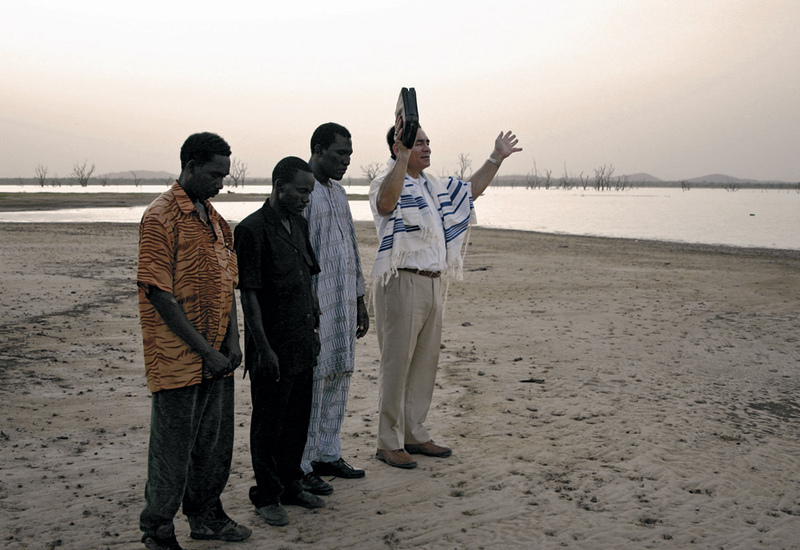 In 2002, Maoz Israel Ministries received an incredible offering of over $4,000 from believers in the West African country of Burkina Faso, the third poorest country in the world, according to U.N. Human Development Report of 2005. The believers sent the offering after being taught by local Minister Ram Zango that if they would bless Israel God had promised to bless them. After traveling to Burkina Faso, we, in cooperation with Gateway Church in Southlake, Texas, began a program that would create a model Agriculture Training Center where the Christian farmers of Burkina Faso would be taught Israeli agriculture technology for desert and semi-desert farming. This year Maoz contributors have enabled us to send $5,000 per month for the project, plus we were able to purchase a badly needed pickup truck. Though the beginning of this program is small, it ultimately has the possibility of raising the standard of living for the farmers that would be revolutionary. It has caught the attention of Burkina’s Prime Minister who told Gateway representatives that he is behind us because of our vision to serve and empower the people of Burkina Faso to become self sufficient. The model Agriculture Training Center with its first 45 acres is located in an ideal area (for marketing purposes) near Ouagadougou the capital. We are now edging closer to getting the Center up and running in the next couple of months. What has already been done over the last 12 months? 1. 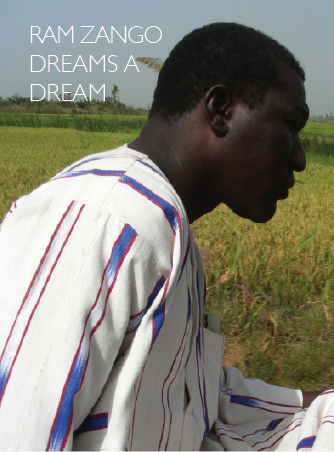 Ram Zango, together with Maoz and Gateway Church, commissioned Shlomo Sasson to prepare a master plan for creating a model Agriculture Training Center in Burkina Faso to train Christian farmers the techniques necessary for modern farming. 2. Shlomo visited many areas in Burkina, spoke with farmers, met with Ministry of Agriculture officials and research workers, and visited market places and local distributors of agriculture produce. 3. 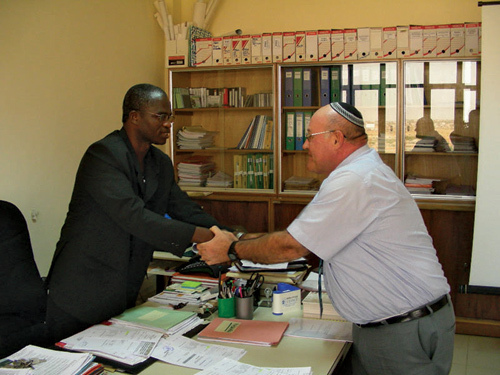 After gathering all the required information, Ram and Shlomo met together with Ari and Shira and Maoz’ Israeli accountant, Itsik Issan, and brainstormed, detecting and dissecting the core problems in Burkina and crystallizing the ideas that would be the appropriate solutions in the formulation of the project. 4. Shlomo drew up a master plan, and again there was another meeting in Israel to discuss every aspect of the program, sharpening and refining the plan. 6. Meanwhile Ram and Shlomo met often with the Burkinabe Agriculture Minister and other government officials, and a delegation from Gateway met together with Prime Minister Tertius Zongo. The Agriculture Training Center was made an official project with approval and backing of the Burkinabe government with many benefits such as free land and tax free imports. 7. The Israeli government has also extended its hand to help with the project and will be sending Israeli farming experts in specific areas to give seminars to the farmers selected for training. 8. Several different pieces of property were offered by the Burkinabe government. A decision was made on the optimal location for the project site. Land acquisition was made and the physical planning of the project site undertaken. 9. Meanwhile, Shlomo, who is not only a very experienced technical agriculturalist, but a fantastic teacher, began training five future trainers (overseers) in Burkina. 10. Maoz provided airfare for several Burkinabe managers/trainees to Israel to take courses of two to four weeks offered by the Israeli government to introduce them to hi-tech agriculture concepts and the possibilities for much higher productivity. 11. The land was cleared and leveled. An existing small water reservoir was deepened and inner roads were built. A “precrop” was sown to create “green manure” (in order to enrich the soil with nitrogen and organic matter). 13. Shlomo shopped on four continents for the best prices and products for the project’s needs. He bought drip lines from Italy, tractor and farm machinery from USA, nursery structure from Burkina Faso. As money is received for the last container needed, he will buy pumps, filters, and irrigation main pipes from Israel and Ghana. 14. At this moment, Shlomo is building the nursery installation for the seedlings. A. An electrical power line will be connected to the farm. B. Water connection will be made. C. A pumping station installed. D. The farming equipment in the first two containers will shortly arrive. E. Preliminary storage facilities will be built using 40 foot containers. F. An elevated water tank will be installed for the nursery and basic logistical center. We already have $35,000 of the $108,000 needed for the above. The program’s last hurdle will be to purchase a container of irrigation equipment. The cost is $181,500. And then we will be up and running! different types of greenhouses - which will enable the farm to teach further techniques - and the oxygenizers for the water reservoir that will be used as a commercial fish pond. Everything that has happened with this farm is a miracle. Already, close to $300,000 has been invested in the farm! Now that’s a miracle! And God will continue to use his people with small and large gifts to see this Agriculture Training Center come to life! You’ve read in detail about our dream of being a part of revolutionizing one of the poorest nations of the world Burkina Faso. But you might ask yourself, why are we so committed to this project in AFRICA, of all places! In God’s sovereign order, He alone is the one who connected us to Ram Zango and Burkina Faso, and it is His plan for believers there whom He loves as much as anyone else in the world including Jews. When Ram arrived in Israel a few years ago, bringing thousands of dollars from the poor believing community in Burkina Faso to bless our congregation and others throughout Israel, we were overcome with emotion. To think that the poorest of the poor would believe God’s Word so strongly that they would give out of their poverty to bless Israel was, to say the least, humbling. But, we realized that God means what He says...and those acts of obedience to bless Israel were the beginning of a plan to completely revolutionize a country through the believers in that land who took God at His Word. Then the governments of Israel and Burkina Faso also began communications and strategic alliances. And God provided Shlomo, a French speaking Orthodox Jew who is an expert in desert farming and whose heart was drawn to the project to develop a detailed business plan for the training farm. It just seems God was determined to provide all the pieces of the puzzle that must happen in order for the believers of Burkina Faso to prosper. You, our partners, have partnered with us all along this journey... together we have provided funds for equipment, a generator, a vehicle, help with labor, provided airfare for a core group of Burkinabe to be schooled in Israel by agricultural experts, and general financial support for this agricultural project. And now, at this critical juncture in the overall project, we want to invest again in this tremendous opportunity to change the economic future of believers in Burkina Faso. One of the next critical steps is to connect the Agriculture Training Center to the Ouagadougou electrical grid. With your help, we want to give light and energy to the farm. The cost will be $20,000 (£9,800 or €14,100). Everything that is received for this project will be sent to Burkina Faso! There are many other areas of the farm waiting to be developed. We will report to you in our January MaozIsrael Report exactly how much we were able to donate to this phase of the project. This first year the farm will be training a total of 18 farmers (including trainers.) But there are hundreds of Christian farmers who, we believe, will soon be able to have their chance to study and work at the farm! You can help us this month to fulfill both promises from scripture by blessing those who have blessed us (Israel) and helping us (Israel) be a light to the nations. Yes, we might seem an unlikely choice to bless Burkina Faso, West Africa, but God chose us, and we are ready to obey. Whatever you give, it certainly will not go unnoticed by our God! For the salvation of Israel, Burkina Faso, and whosoever will! P.S. Few of us have the large sum to purchase the last container of irrigation equipment needed before the course can begin. But each one of us can give something, and we can all pray that God will provide the $181,500 needed for the irrigation equipment. God never fails!